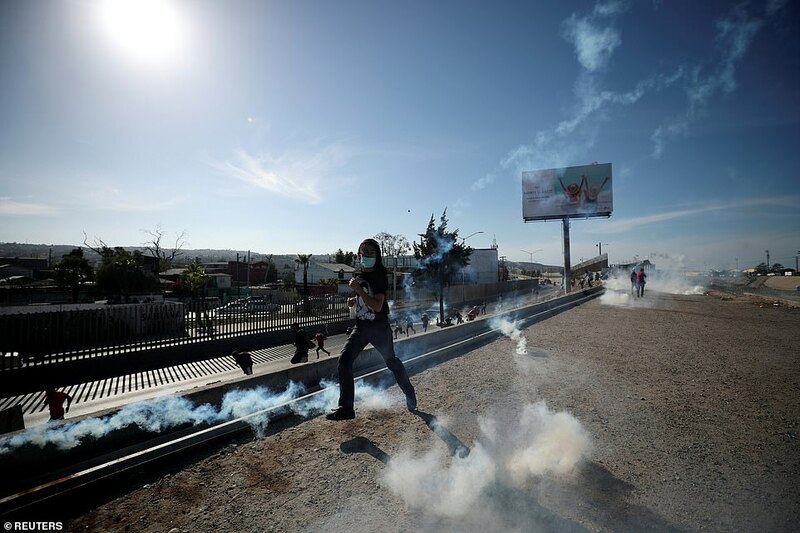 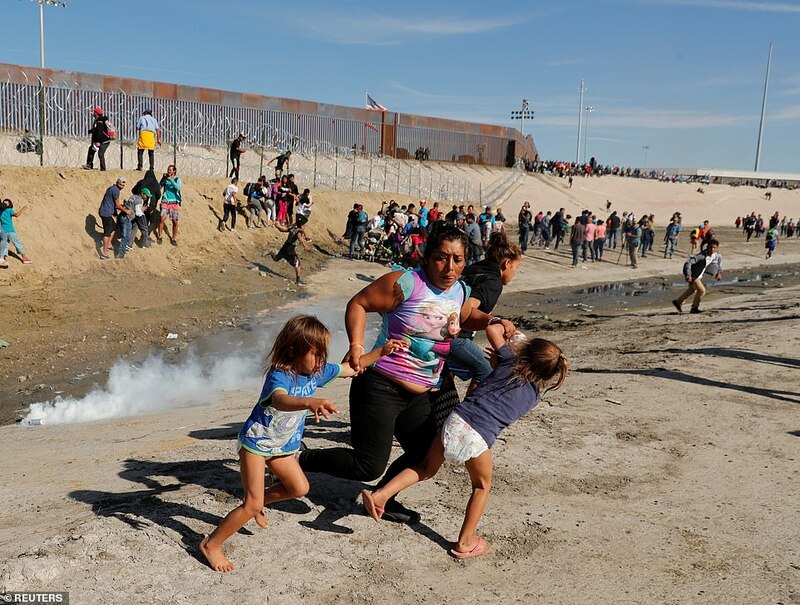 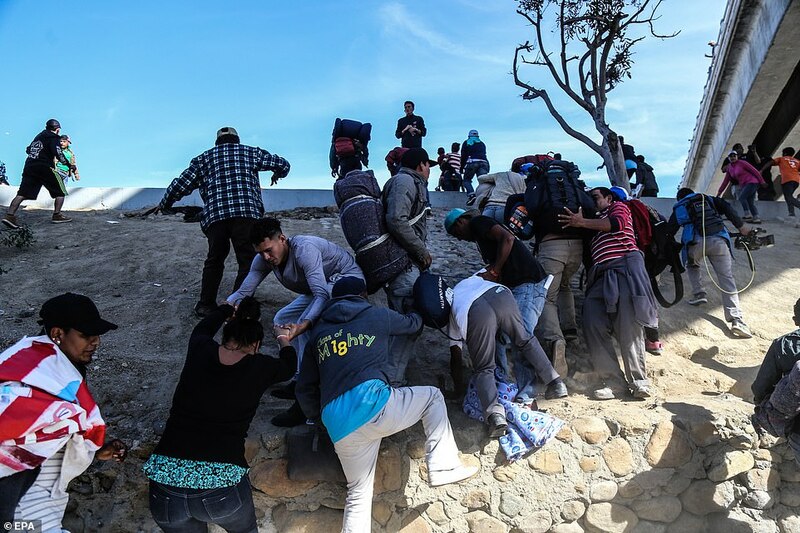 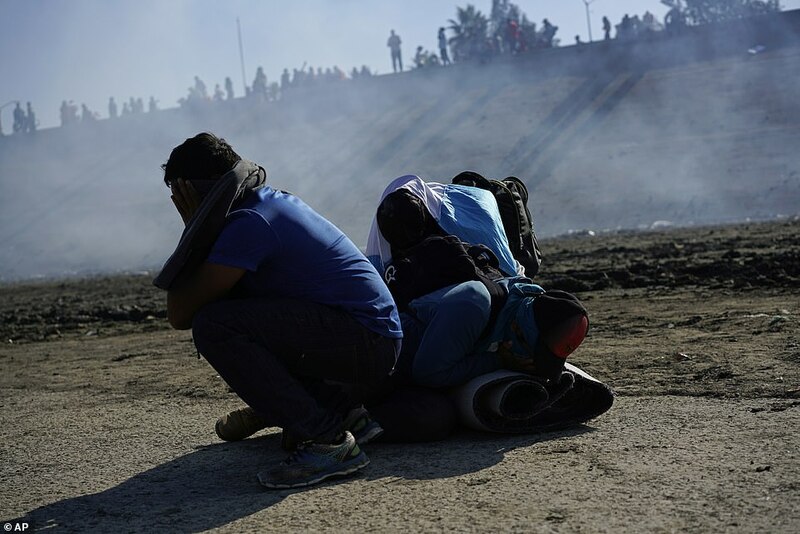 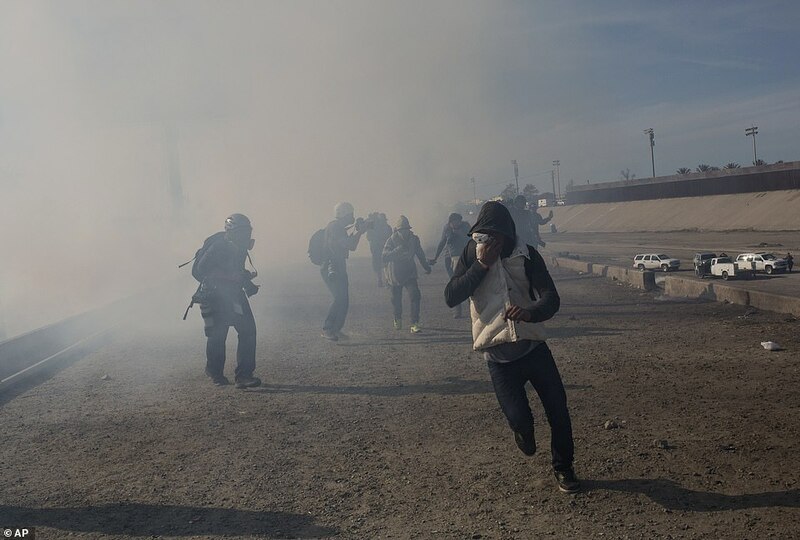 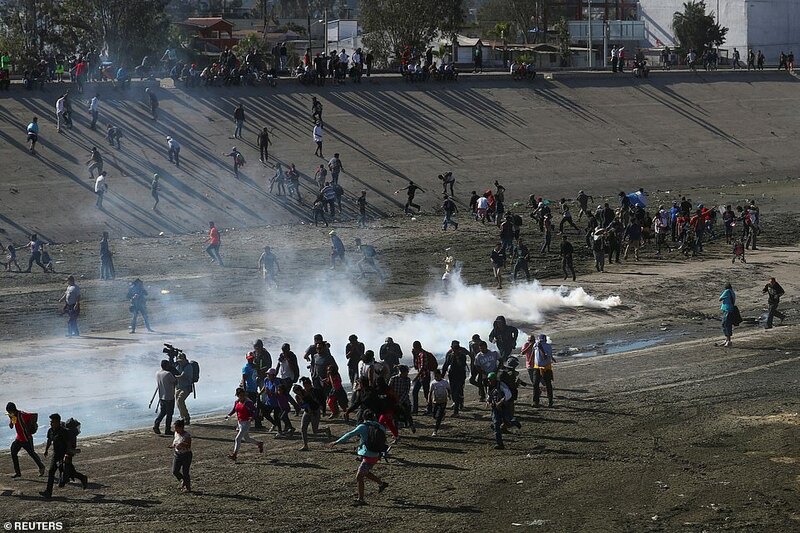 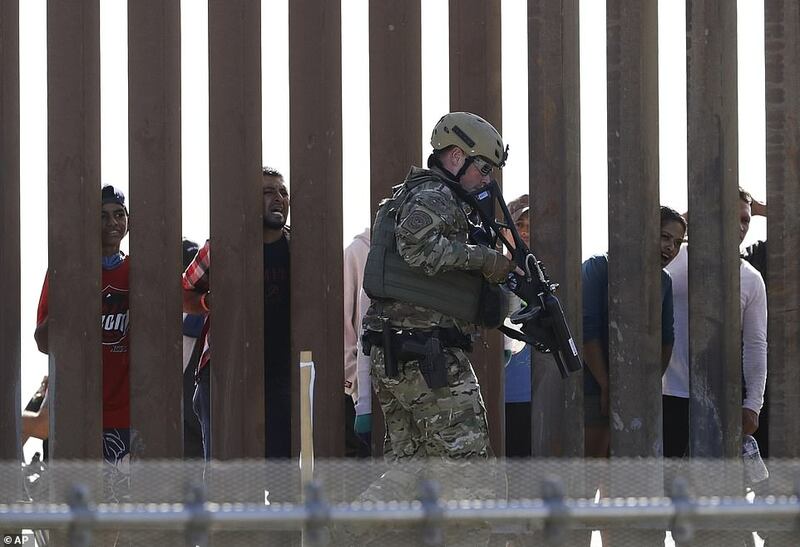 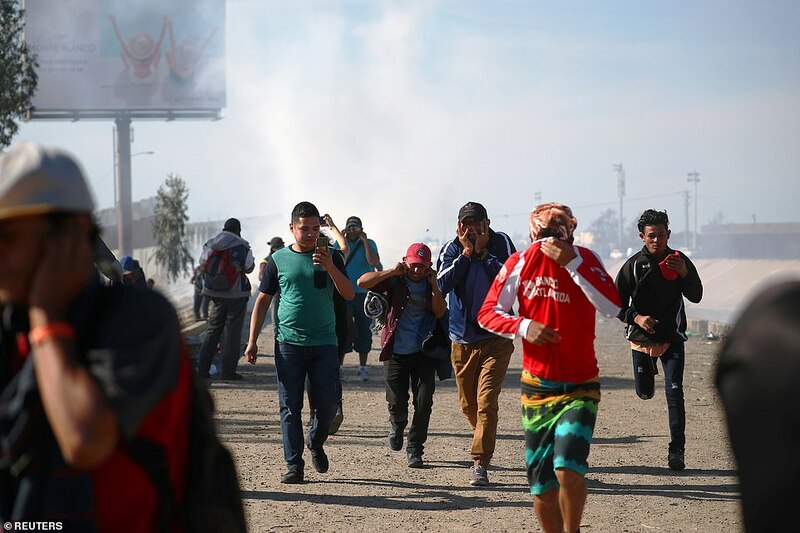 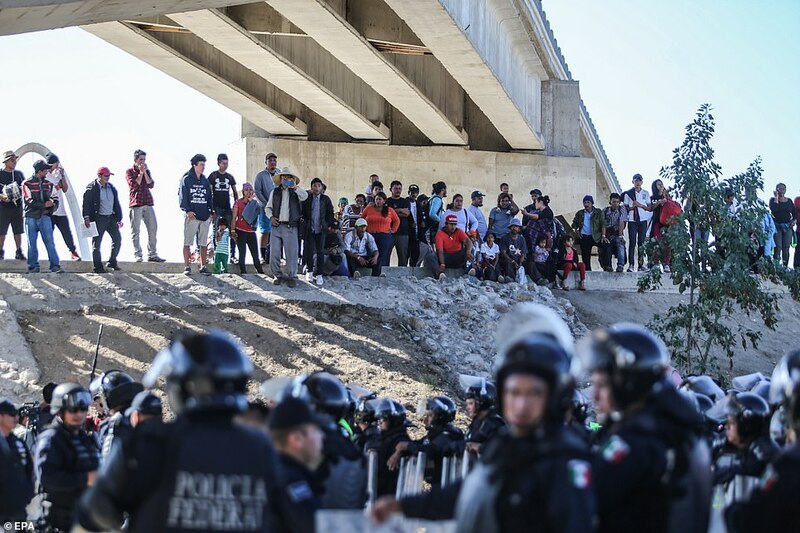 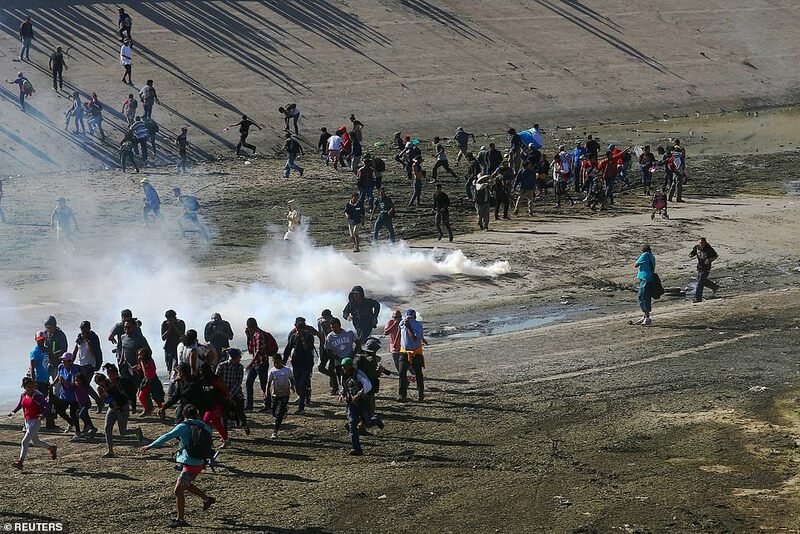 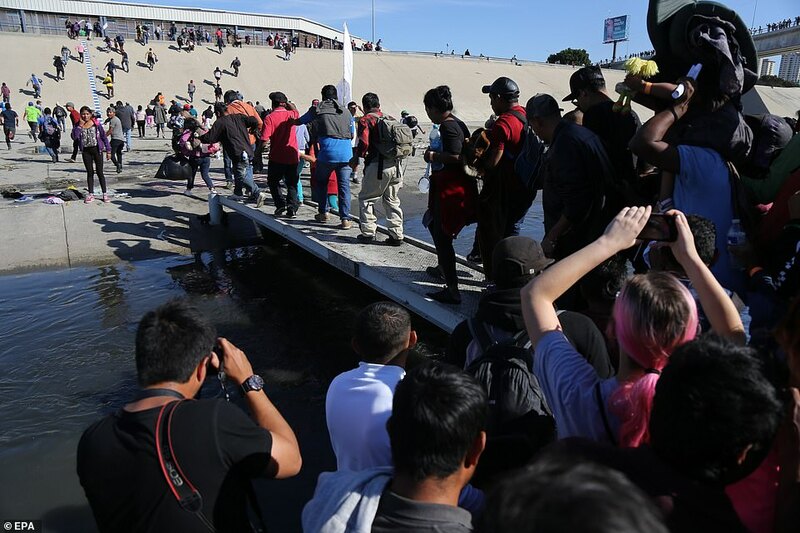 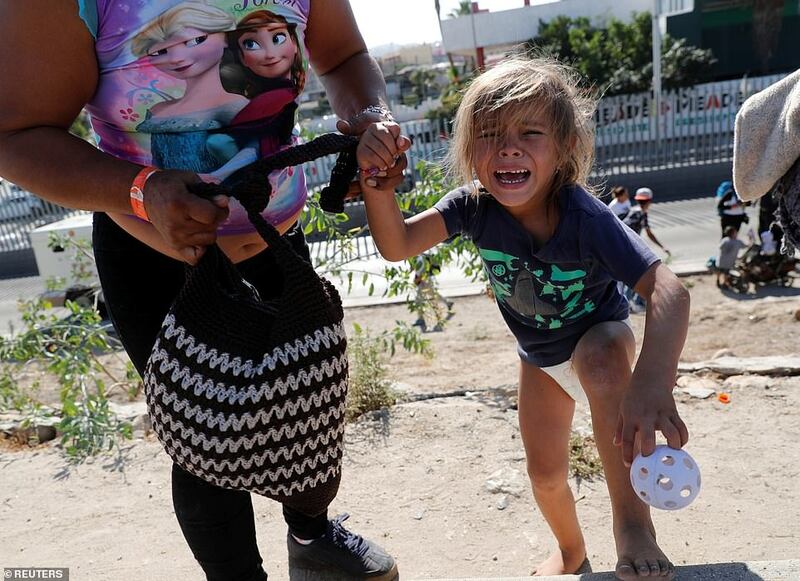 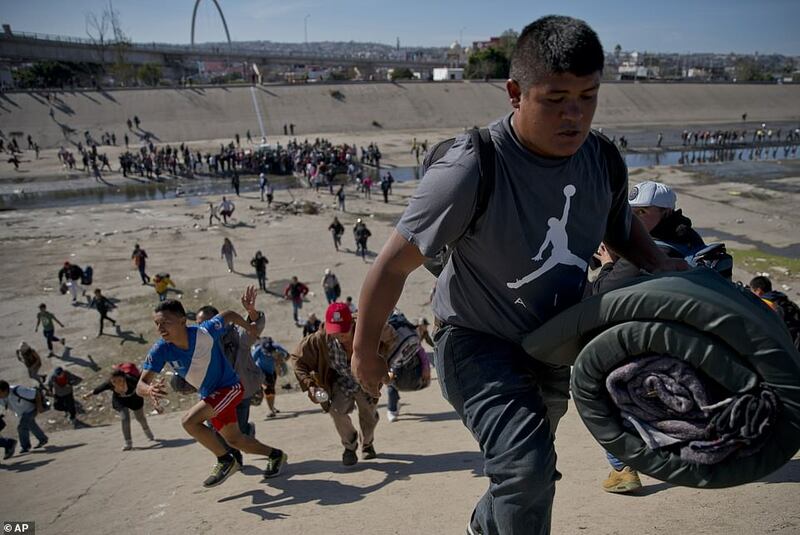 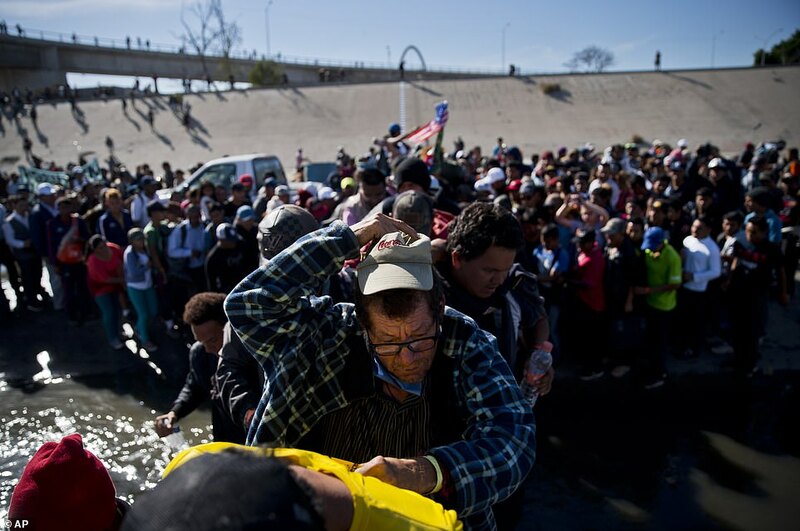 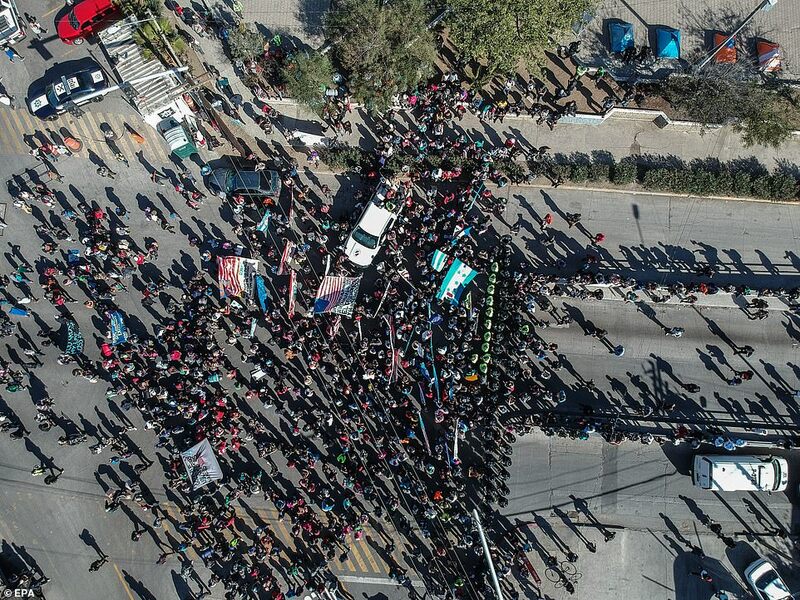 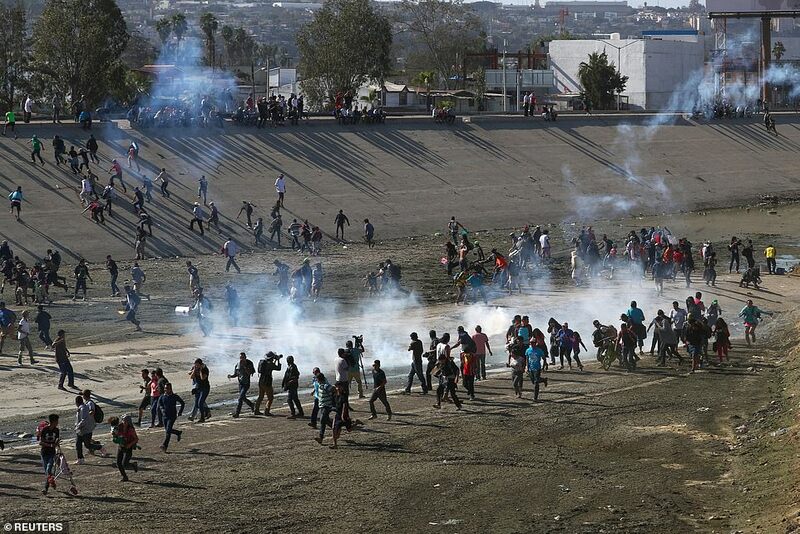 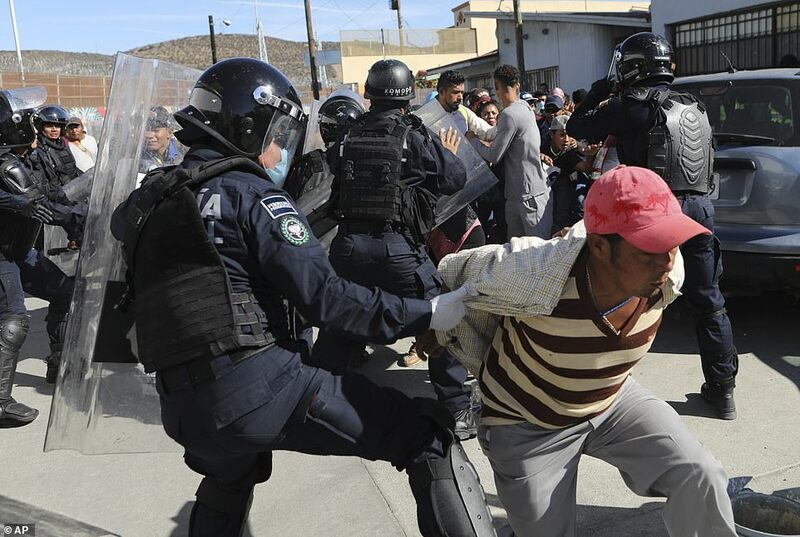 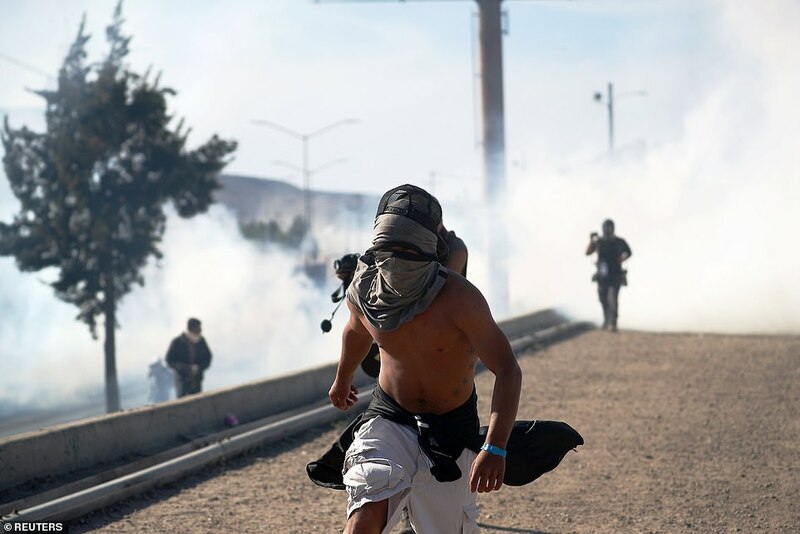 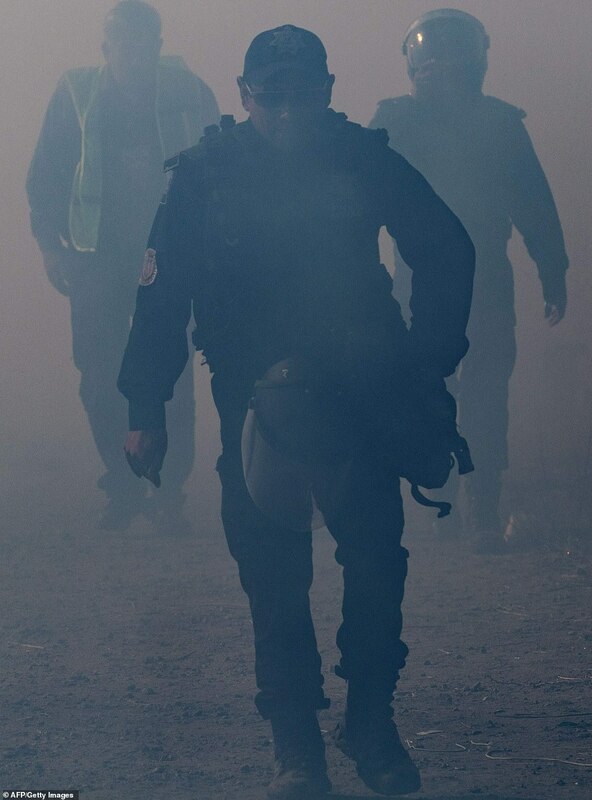 US Border Patrol shot tear gas and rubber bullets at a group of migrants, including toddlers, as members of the caravan tried to storm the border. 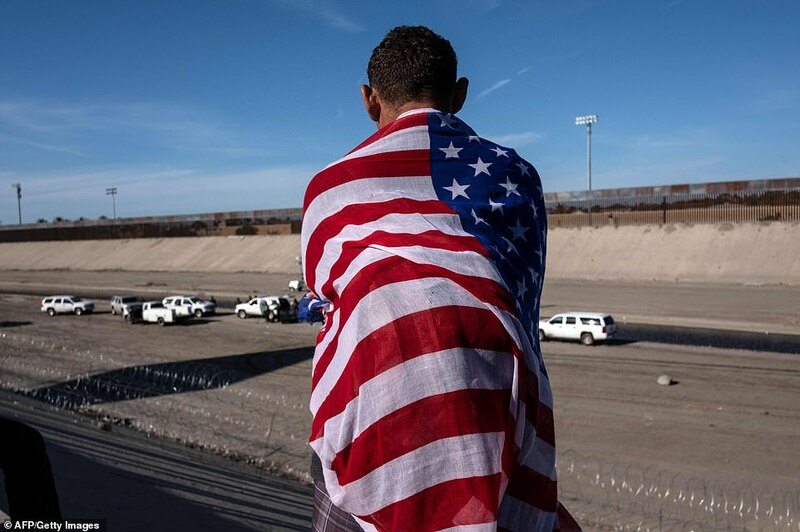 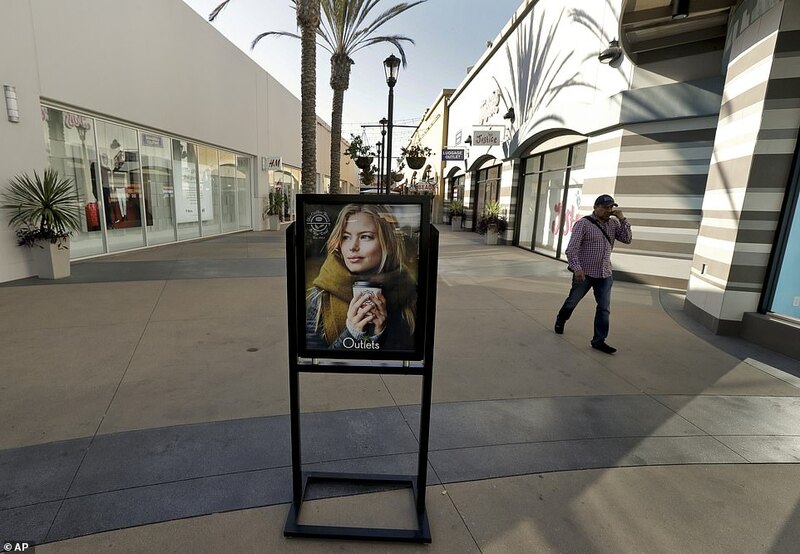 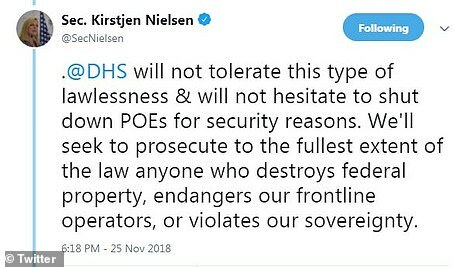 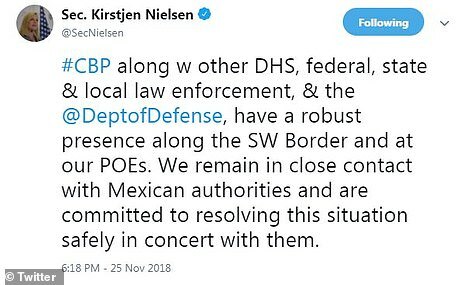 Homeland Security Secretary Kirstjen Nielsen said she would not put up with this 'lawlessness' and threatened harsh punishments on anyone who 'anyone who destroys federal property, endangers our frontline operators, or violates our sovereignty'. 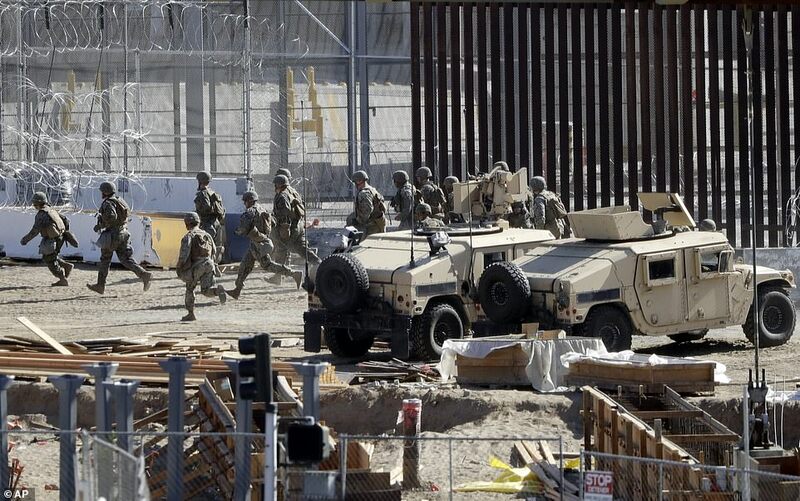 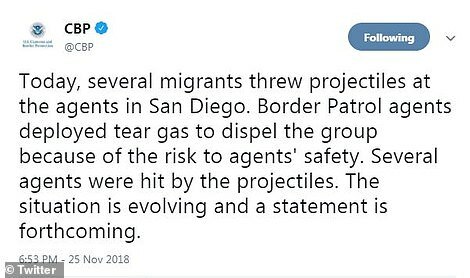 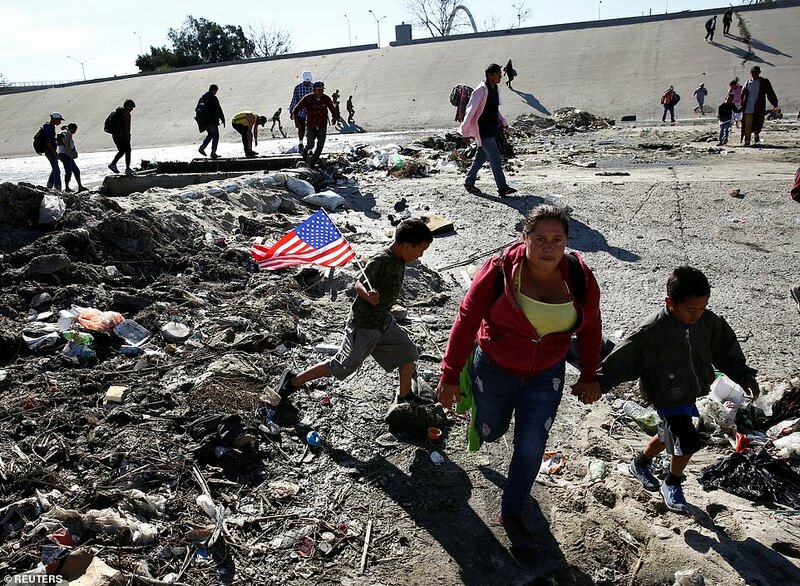 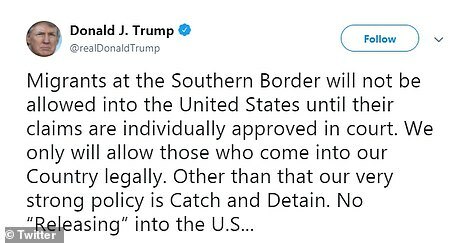 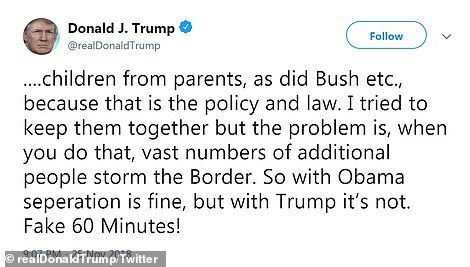 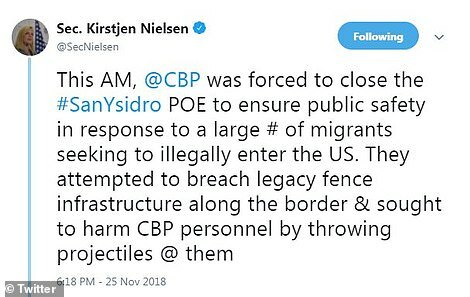 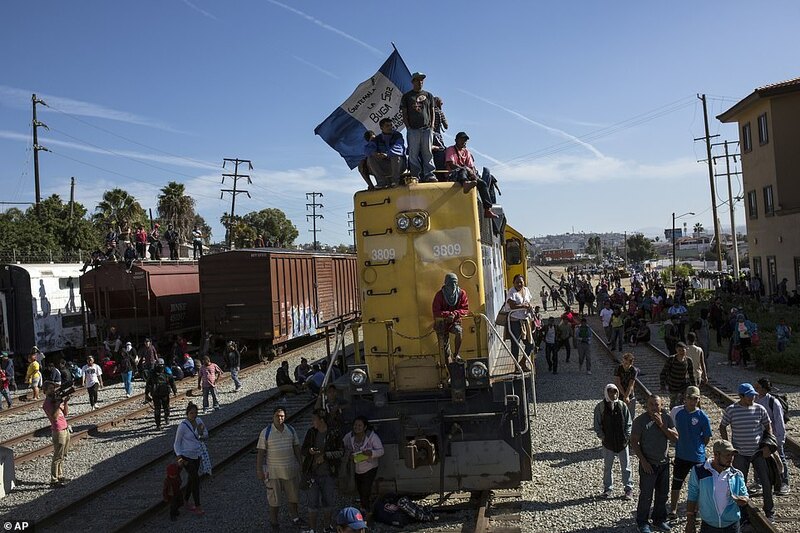 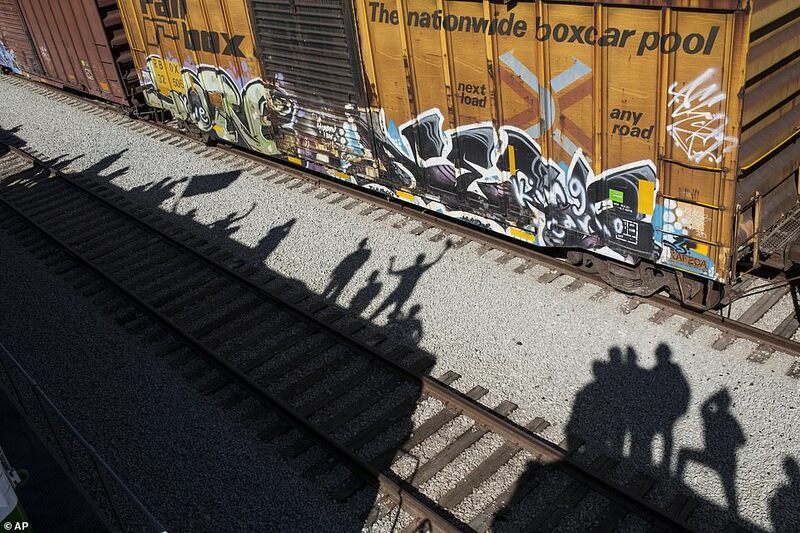 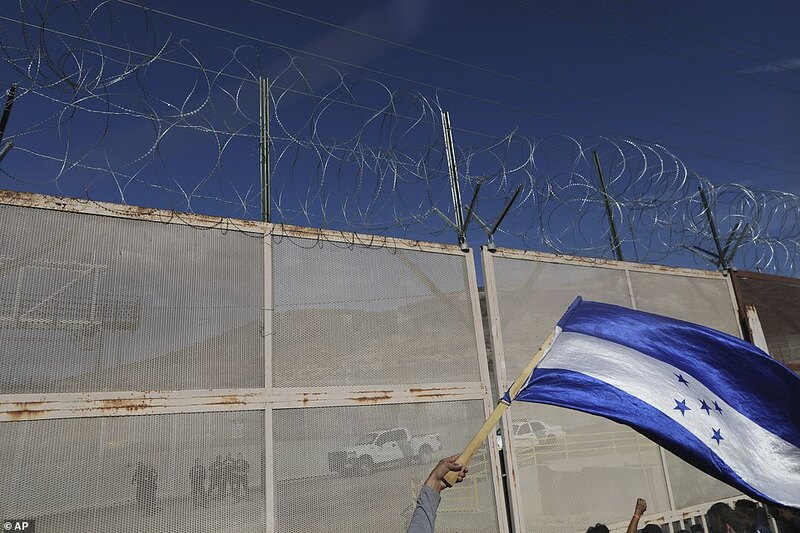 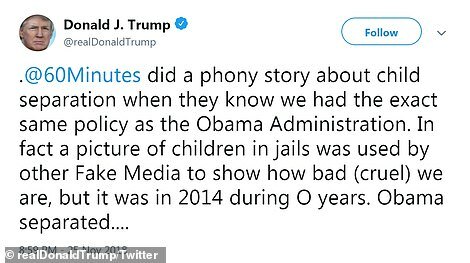 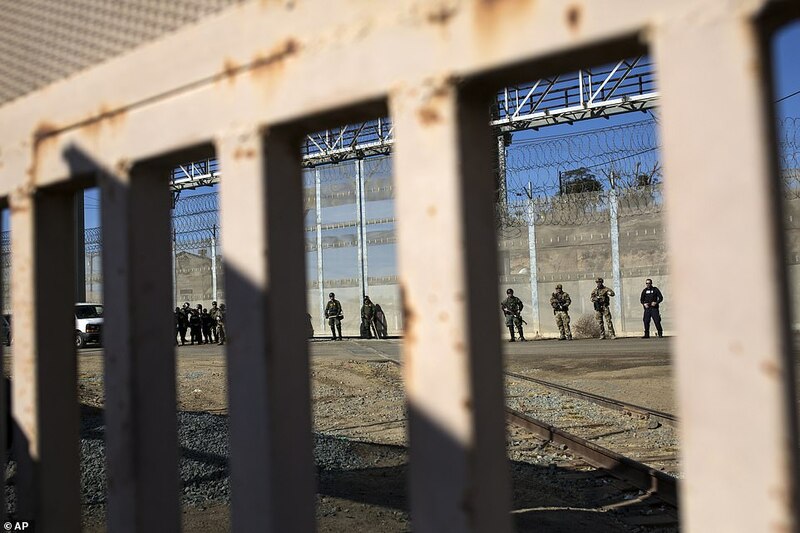 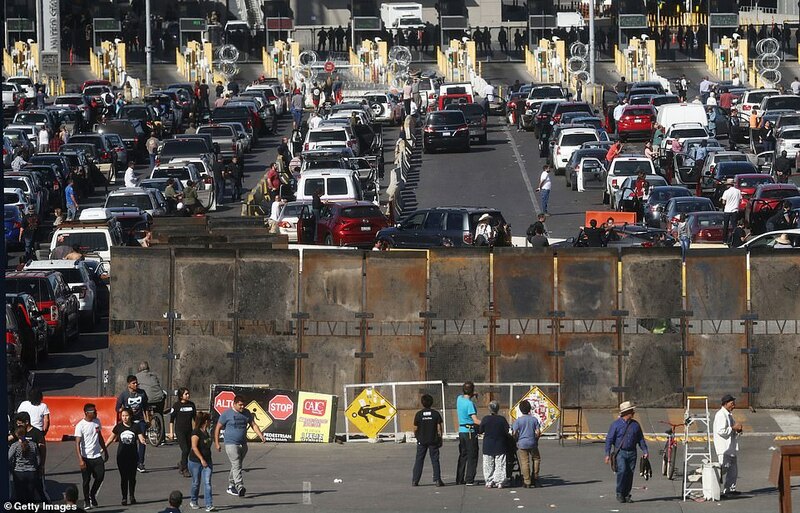 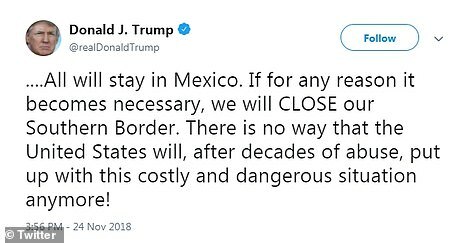 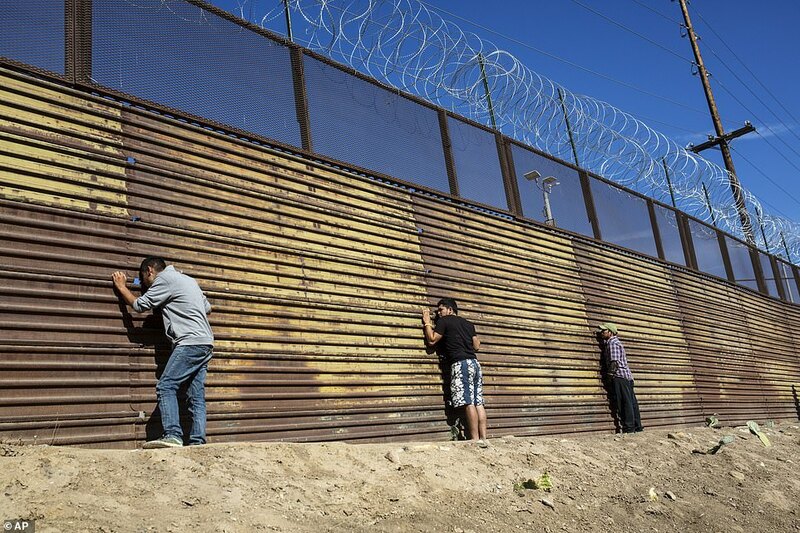 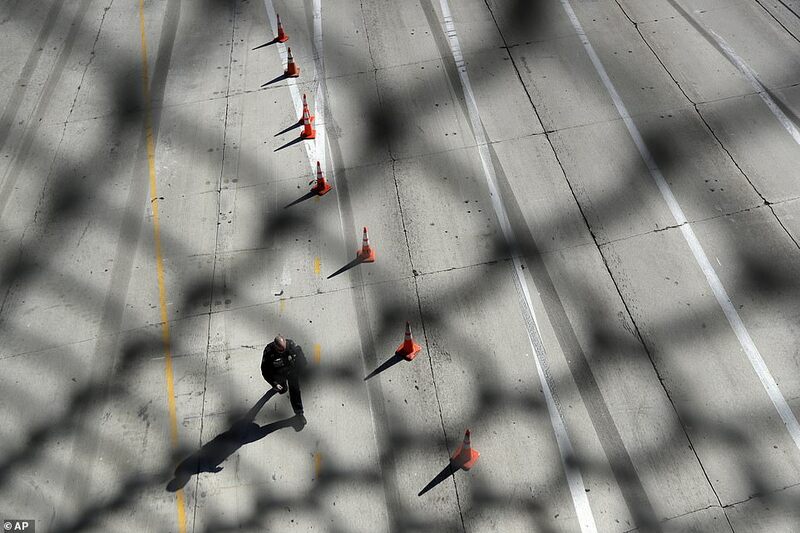 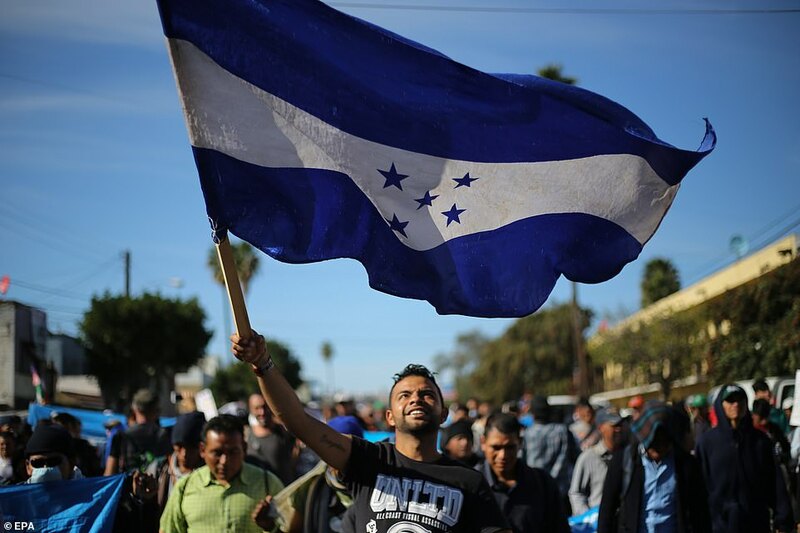 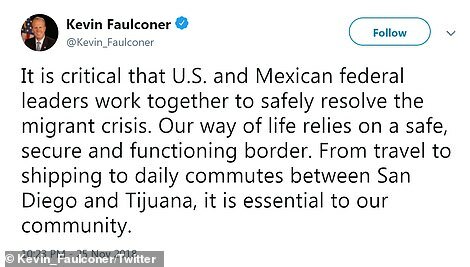 She later added that border personnel were 'struck by projectiles thrown by caravan members'. 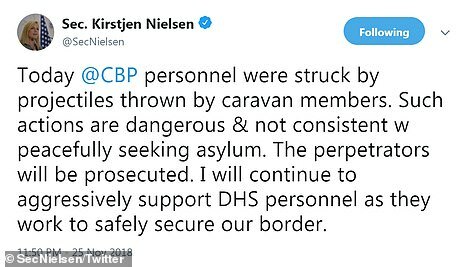 She condemned those responsible for their 'dangerous' actions that were 'not consistent with peacefully seeking asylum'.